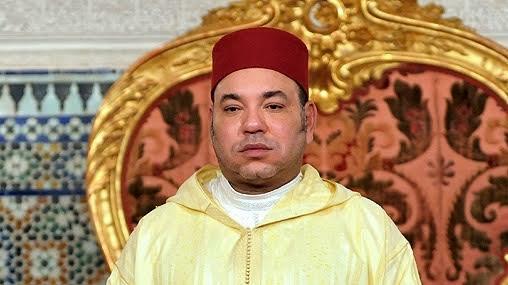 King Mohammed VI affirmed that Morocco has given Africa top priority in its foreign policy and that Morocco is in the center of Africa; and that Africa holds a special place in Moroccans’ hearts. “I believe what is good for Morocco is good for Africa – and vice versa. Theirs is one and the same destiny. I also believe there can be no progress without stability: either the two go together, or they do not exist,” said the King of Morocco in a speech he delivered Saturday to mark the 63rd anniversary of the Revolution of the King and the people, commemorating the forced exile of King Mohammed V in 1953 by the colonizers. But, “despite the extensive damage caused by colonialism, I believe Africa has the means to ensure its development and to take its destiny into its own hands, thanks to the resolve of African peoples and to the continent’s human and natural resources,” said the Sovereign. For Morocco, Africa means more than just being part of a geographical area, or having historical bonds with the continent. Africa also means sincere affection, appreciation, close human and spiritual relations as well as tangible solidarity. Furthermore, Africa is the natural extension of Morocco and the embodiment of the country’s strategic depth, the Monarch underlined. For us, Africa is not about goals and objectives; dealing with Africa involves a commitment towards the African citizen, wherever he or she may be, he said, adding that “We attach as much importance to improving the livelihood of Africans in their countries as we do to African migrants in Morocco. As a result, they do not suffer the same hardships endured in many parts of the world”.